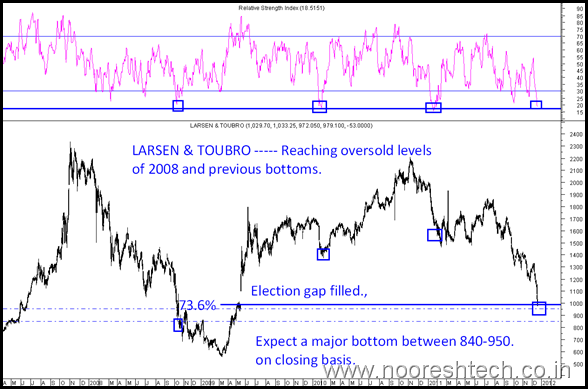 Larsen & Toubro — Nearing 2008 Oversold Levels. Watch for sharp panics only to buy very very staggered. The last time i initiated a pyramid strategy on Larsen & Toubro in March 2009 around 550 levels but it did not come further down to accumulate. But this time around it seems investors will get enough time to accumulate the stock but in a very staggered or pyramid manner provided one is ready to see downsides to 800 levels also. 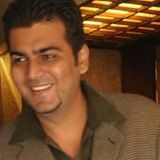 For people already holding be ready to see more cuts also in extreme case. 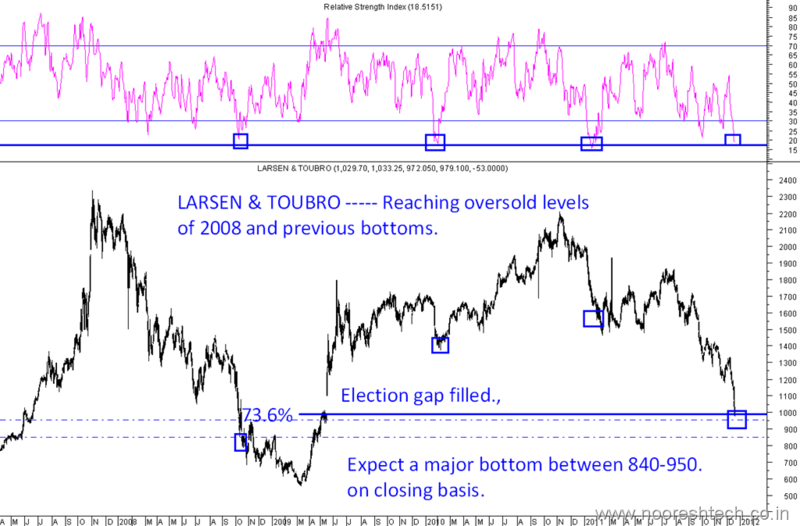 è Larsen & Toubro is at oversold levels similar to 2008 and further bottoms. è Post such a oversold the stock can drop further 10-15% also but it will create a major bottom for at least the intermediate trend. è Levels to watch would be 950-840. Bottoming out process will take time ideally. è Such an intermediate bottom has either led to sharp bounces of 20-30% or even a major long term bottom. è The stock is close to 73.6% retracement of the 2009-2011 rally. è One may look to buy in further panics if it drops below 950 or accumulate in a very staggered manner with a view to book on rise of 20-30 %in next 3-5 months. well said.L&T is a company worth buying at this levels.Some stocks like BHEL,IDFC look attractive. One needs to be ready for digest the dips on the stock.